When seniors can safely and easily use the bathroom on their own, it allows them to age in place — and with dignity. So designing safe and accessible bathrooms are key. 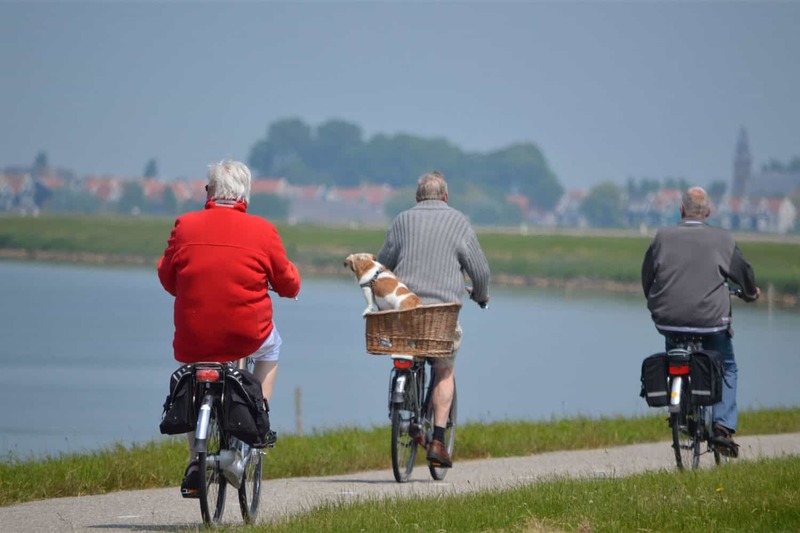 Making accommodations for wheelchairs, walkers, medical equipment, unsteady balance, and more will go a long way in helping your loved one feel independent and safe. Falls represent the leading cause of emergency room visits, and the conditions in a bathroom are unfortunately the perfect storm for falls. 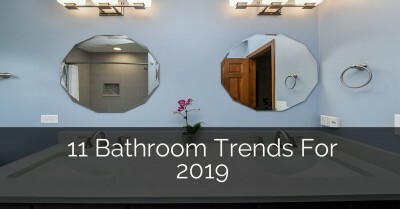 The motions of getting up and down, stepping in and out of bathtubs and showers, bending over at the sink, and more aren’t always safe for a senior. And when you add wet conditions to the environment, the bathroom becomes a dangerous place. When the bathroom isn’t well laid-out or doesn’t provide aids to help with accessibility, it can become an unsafe environment for those who have trouble getting around. A bathroom for seniors should be easy to get to, easy to move around in, and well-equipped with aids to keep seniors steady. 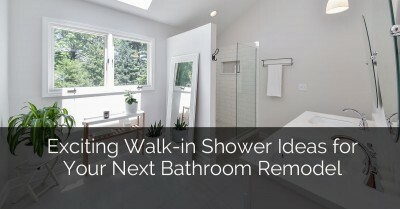 Read on for thoughtful bathroom options that will make the bathroom safe and accessible for your older adult. 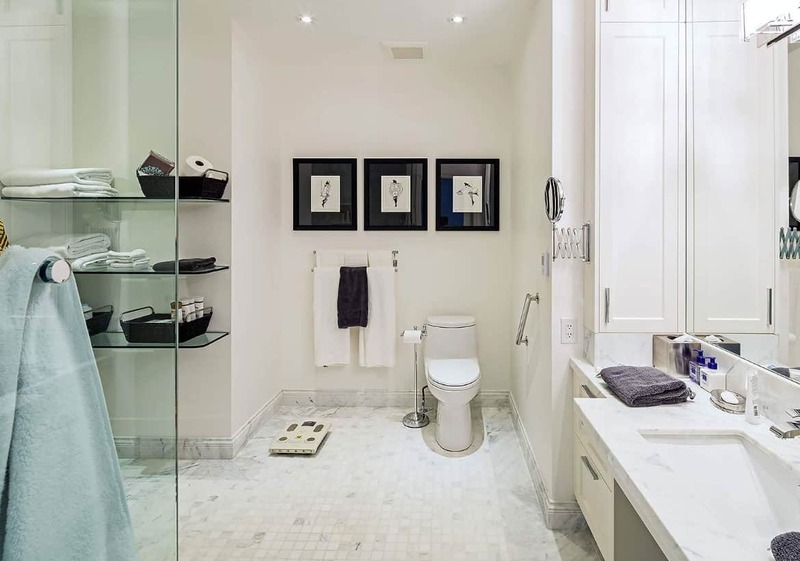 It’s critical that the dimensions of the bathroom accommodate the needs (and potential needs) of the older adult in your life. Start with the door. It should be a minimum of 34 inches wide to accommodate a wheelchair. Instead of doorknobs, install levers. 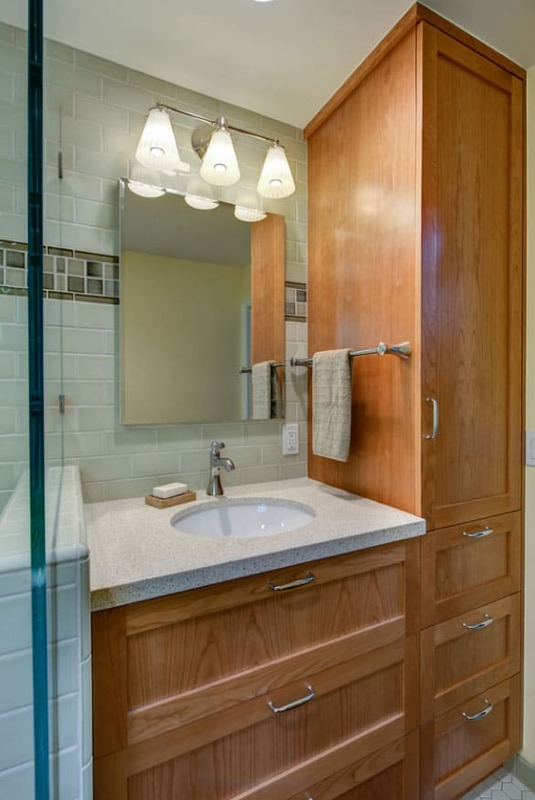 A sliding door can also be a stylish and accessible alternative to a regular door. If you can, follow the Americans with Disabilities Act requirement of a 5-foot turning radius. Electric wheelchairs do turn more easily, so if you don’t have the space, you can sometimes make do with less than a 5-foot turning radius. Under the sink, leave 27 inches of clearance to make room for a wheelchair. 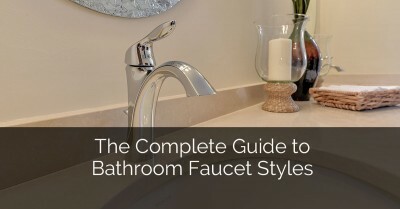 Keep the top of the sink between 32 and 34 inches from the floor. 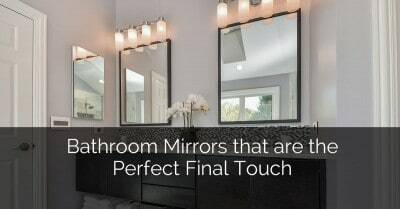 Don’t forget to hang the mirror low enough for visibility, and tilt it from the top. 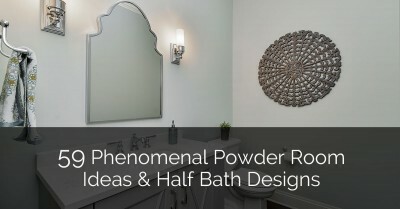 Again, dimensions are important in the shower. Make sure it’s 5 feet wide by 3 feet deep. 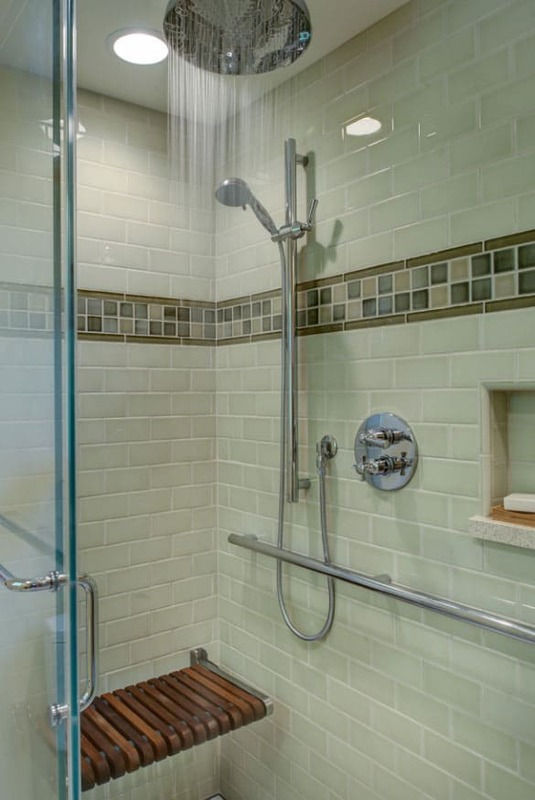 A zero-threshold shower is a shower that has no curb; meaning, a wheelchair or walker can easily slide into the shower. 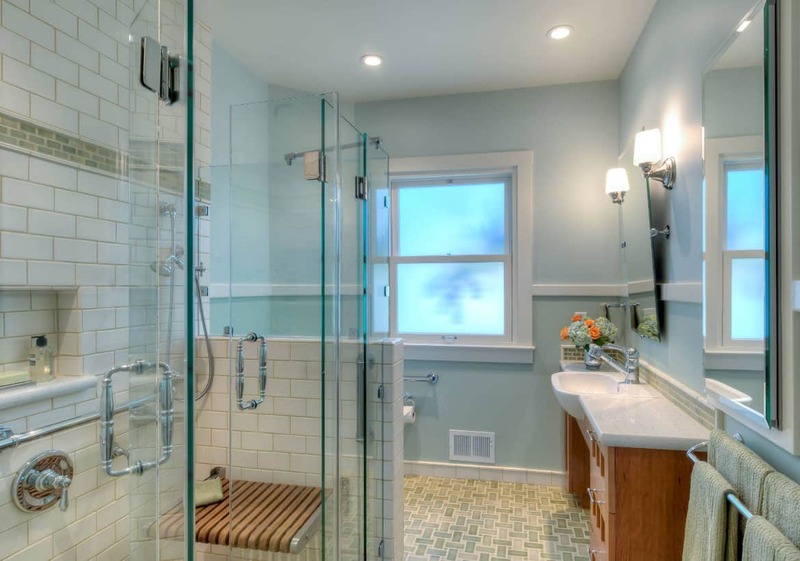 This type of shower doesn’t always need a door, as the floor slopes down to the drain. 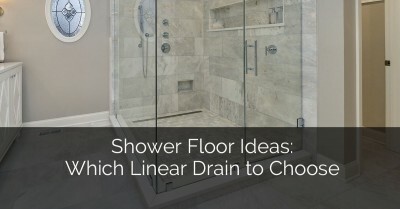 You can also have trench drains installed around the perimeter of the shower to keep water inside the shower area. 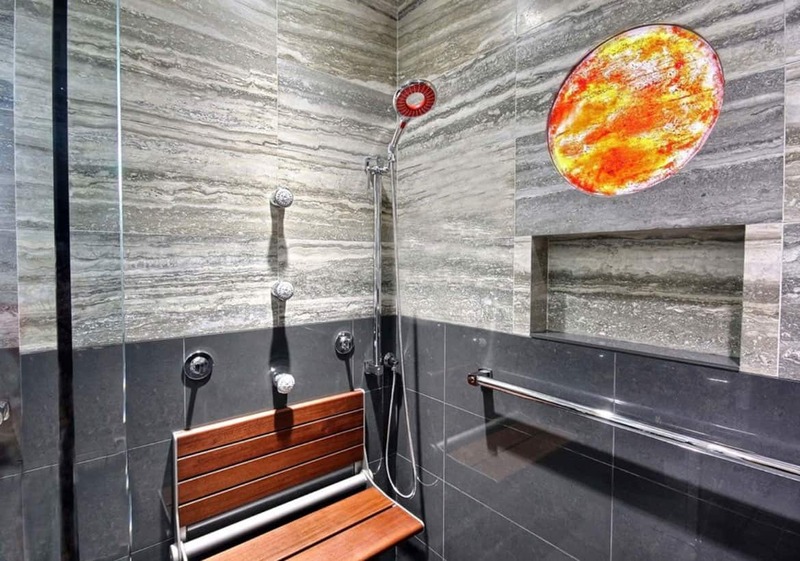 Consider installing a built-in seat for easier showering, or find a portable bath chair. 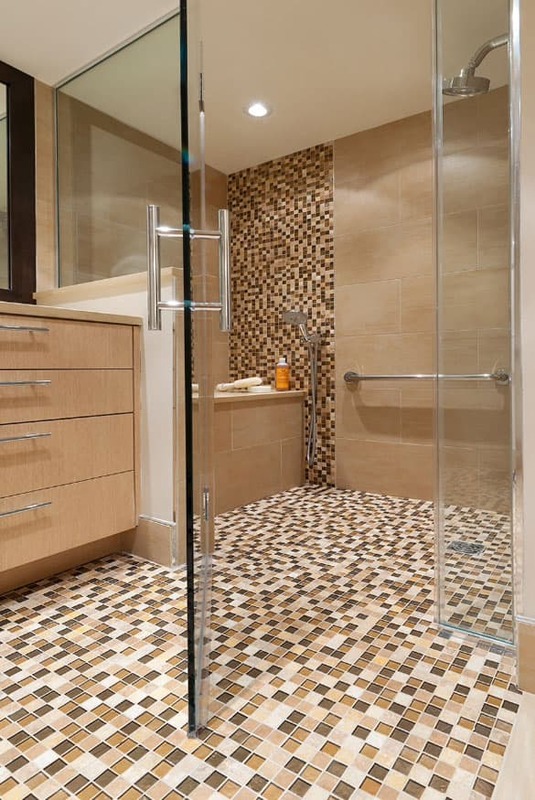 And no matter the type of shower, a non-slip floor is crucial. This can be stylish with textured tile, or even a slatted wood tray positioned over a concrete floor. 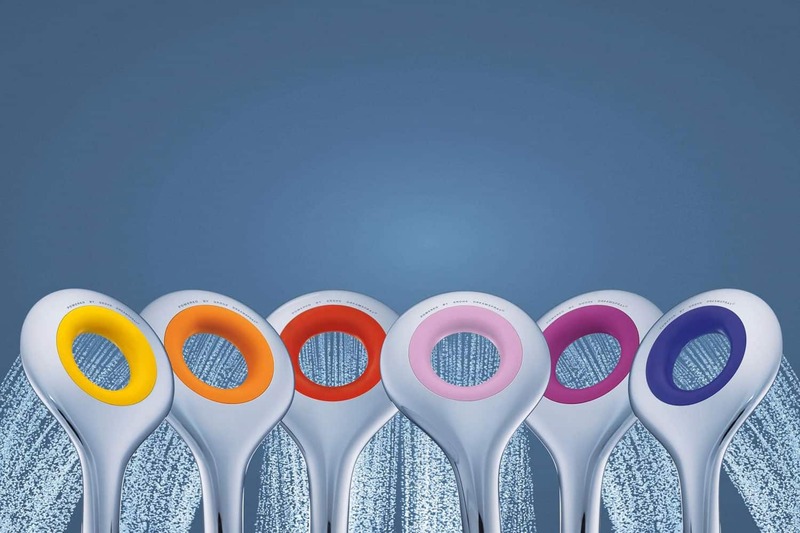 In addition to a zero-threshold shower, consider installing a hand-held shower head for easier cleansing control. Install controls at a level that can be easily reached by a person in a wheelchair. In addition, protect your older adult from burns by installing anti-scald mixing valves. This will keep the temperature safe when water pressure changes during a shower. And don’t forget to limit the temperature to 120 degrees. 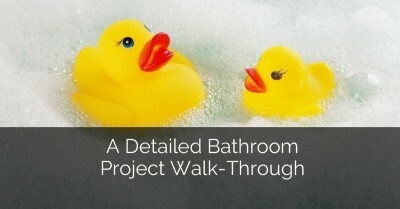 A walk-in tub allows seniors to safely bathe. 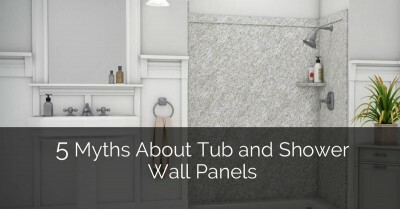 A user can easily step into the tub while dry, and then fill and drain it before simply stepping out. There is no climbing over the edge of the tub. 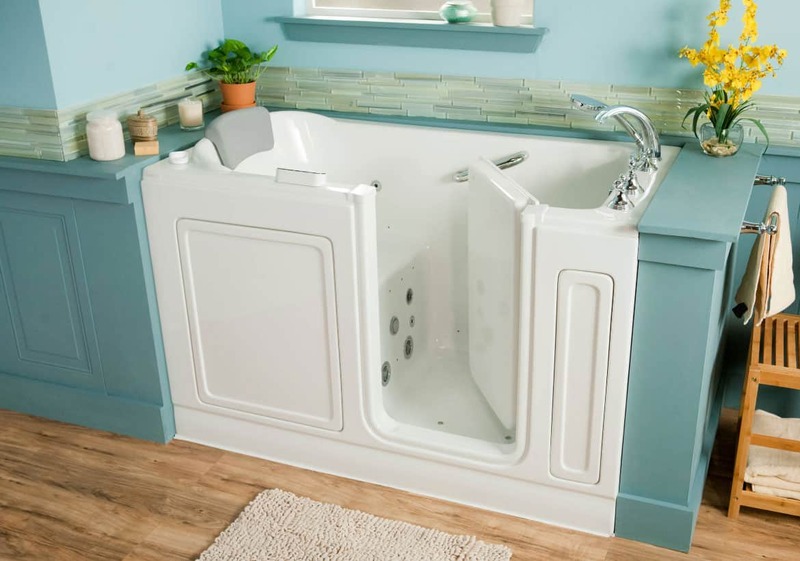 You can even install tub controls near the front edge so the user won’t have to reach far. 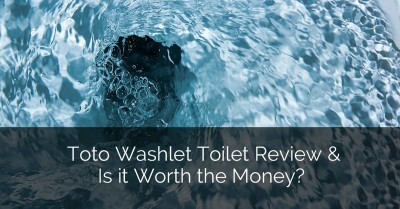 If possible, a bidet can be helpful for many seniors. Make things easier and safer, while providing dignity, by placing support bars on the outside of the toilet. 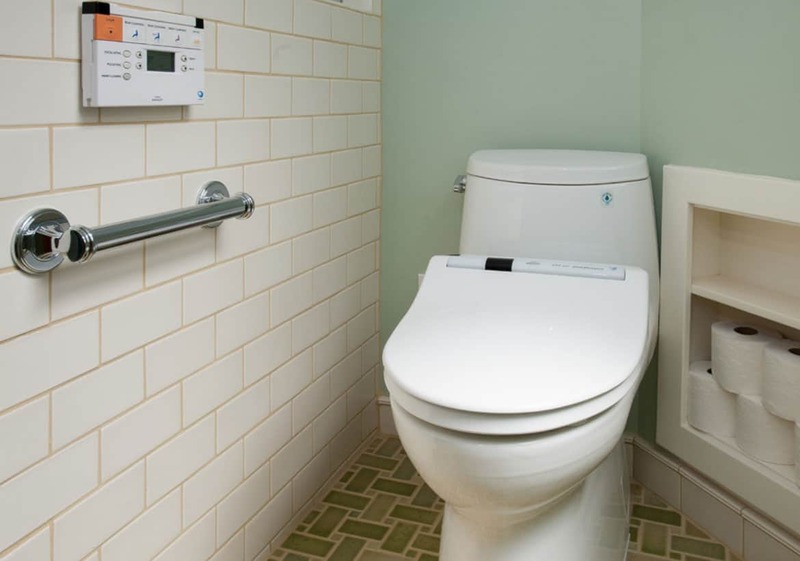 In addition, install a toilet that is 17 inches off the floor. Pull-out drawers are easier to open than a cupboard. 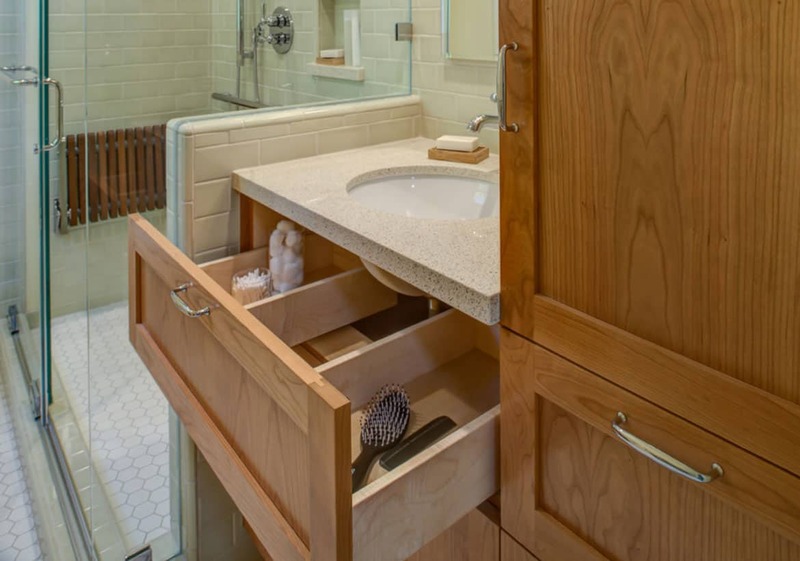 You can also employ open storage for a modern look that will make it easy for your family member to quickly grab a towel or washcloth. Make sure there is an easily-accessible place for the everyday items. When you take the time to think through the needs of your loved one, you’ll be able to create a safe and dignified environment for daily needs. Hello, thanks for sharing this awesome and informative post. Such an amazing tutorial you share. There is an excellent Article for disabled or who is mobility tools user. Here is the good point discuss about disabilities health.